Wire leader is a necessity to prevent break-offs when fishing for wahoo, king mackerel and other members of the 'razor gang.' However, not all wire leader is created equally and the presence of wire alone does not automatically put anglers in the clear. Proper rigging techniques and quality terminal connections are imperative. 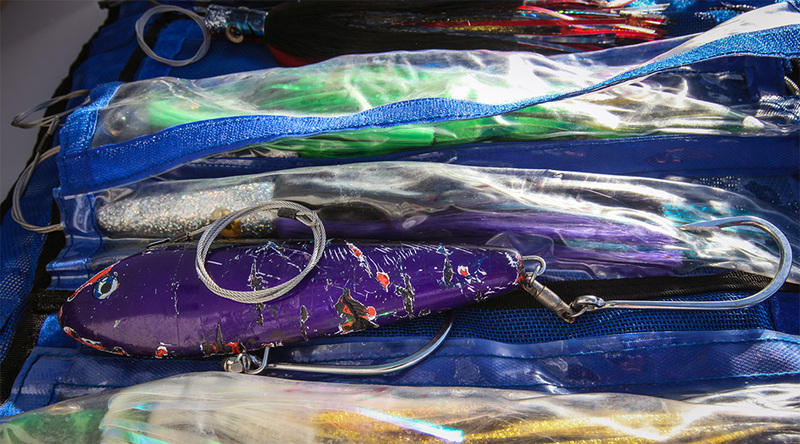 Learn how to make sure you won't lose your next catch in this tutorial by Steve Dougherty. 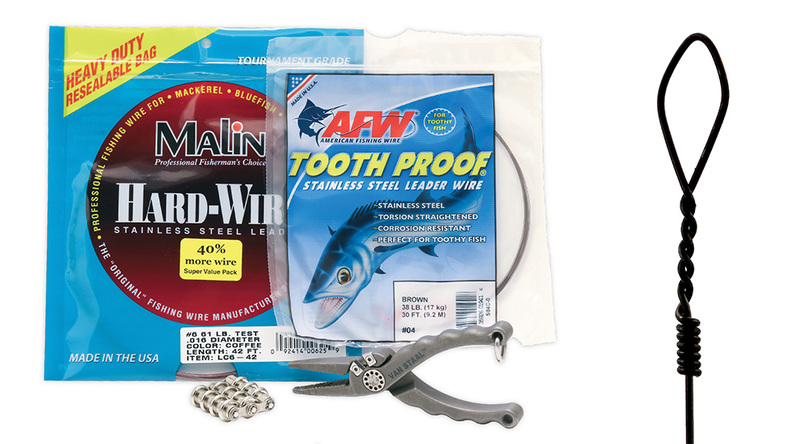 Single strand-wire is inexpensive and remains a solid option for anglers targeting a variety of sharp-toothed predators. However, single-strand kinks easily and you'll likely only get one fish per rig. Whether creating an end loop or attaching terminal tackle, the only method used here is a haywire twist. Start by forming a loop by crossing the tag end over the standing line at a 45-degree angle. While grasping the loop with your fingers, twist the two wires six times, ensuring they are even and tightly wrapped. To complete the haywire, make four barrel wraps by crossing the tag end perpendicular to the standing line. Titanium leader will also keep break-offs at bay and has many benefits, including a thinner diameter compared to single-strand stainless steel wire of similar breaking strength. 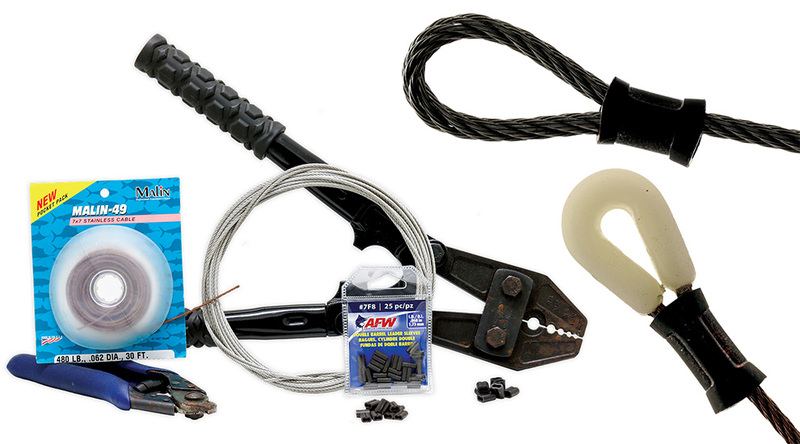 This enables anglers to fish heavier wire without compromising stealth. However, it's the elasticity of titanium that provides the greatest advantage, as it is virtually kink resistant. You can twist and bend a titanium leader in any direction and it will spring back to its original shape with zero memory. It's also durable and corrosion resistant but it's pricey. Many anglers prefer to create a reinforced loop, also know as a Flemish eye, which is nothing more than a double or triple overhand knot, with a crimp to produce a cleaner finish. You can also rig without a reinforced loop, but you must re-insert the tag end into the crimp a third time to create a tighter compress. 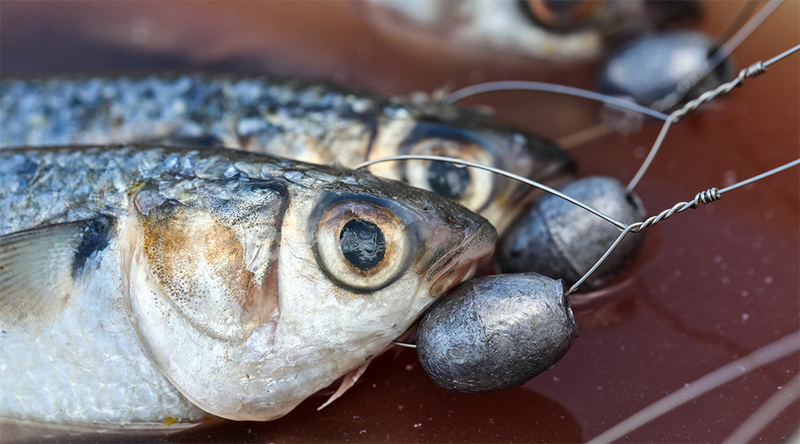 When a fishery or rigging technique requires extreme bite protection it's time to turn to cable leader, which can be easily crimped and is virtually indestructible and enables lures to track. 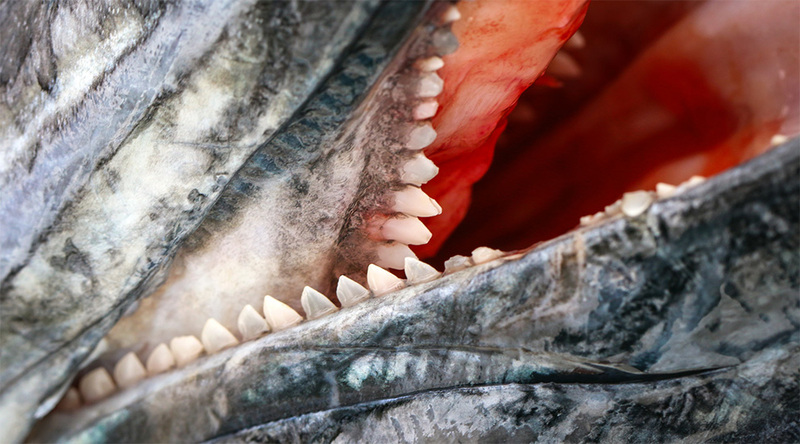 Available in 7- and 49-strand variations from manufacturers like Malin and American Fishing Wire, braided stainless steel cable provides superior bite protection against the ocean's most determined predators. Crimping cable is much the same as crimping monofilament, though you must use copper sleeves. 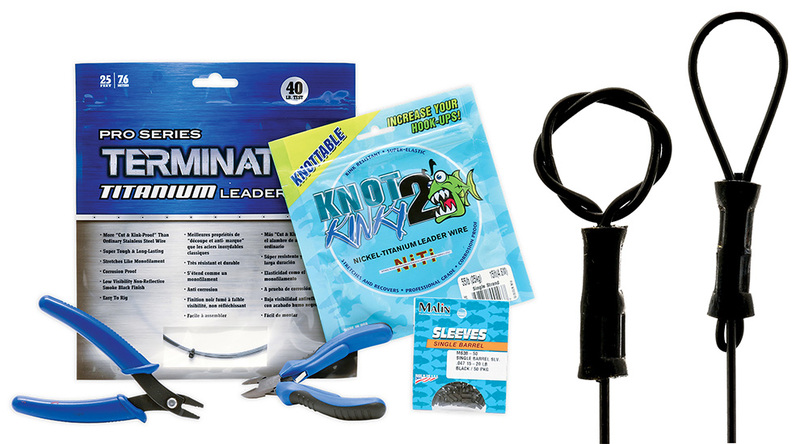 Whether you are making a stiff hook-set or rigging a high-speed wahoo lure, it's imperative you choose the appropriate crimping sleeve to match the cable diameter and the right crimping tool. Depending on the rigs you are fabricating, you'll likely want to have a small hand crimper for crimps from 0.5 to 2.2 mm, as well as a larger set for crimps ranging from 1.0 to 4.2 mm.